Those who know Pope Francis very well note that we are yet to see him at his best. They maintain that Pope Francis is a skilled «politician,» a man of great culture, even if up until now he has only shown the pastoral and – some would concede – populist aspects of his personality. So much so that his Argentinian friends can hardly recognize him: they never saw him smiling so much, or so easily establishing a rapport with the crowds. «It might be the Holy Spirit,» they say. Generally, the first one hundred days in a new endeavor are key to understand what it will be like. Obviously, a pontificate is not a secular government, so any comparison must be made carefully. On the other hand, as a matter of fact, Pope Francis’ vision is yet to take shape. So far, it is very little that we know for sure. We know that Pope Francis wants to be called and considered the Bishop of Rome, rather than Pope. He clearly separates his functions as pastor of the universal Church from his functions as Bishop of Rome. He unmistakably proved this speaking off the cuff during his first pastoral visit to the Roman parish of Saints Elisabetta e Zaccaria, in the immediate outskirts of Rome just outside Prima Porta. There, from the edge of town – «There is a better view of the Church from here, » he said – Pope Francis told the congregation that «the Pope is in the Vatican, while your bishop is here, in front of you.» In mentioning «the Pope in the Vatican,» Pope Francis was not referring to Pope Emeritus Benedict XVI, as many thought. He was referring to himself. The media perspective is very different, to be sure. 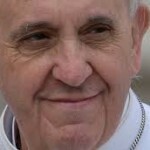 Everybody is looking to compare and contrast Pope Francis with his predecessor. Conversations held with some of the electing cardinals or their secretaries indicate that Francis had been elected Pope because cardinals felt the need to change the Church’s paradigm and to change its narrative as well. The Church must become credible, authoritative and able to move beyond scandals. Yet, the greatest challenge is to sweep away scandals from the Church itself. Will Pope Francis succeed? The Pope’s friends say he is a clever man. And some of them maintain that for the moment he is acting just like Sun Tzu suggested in his very celebrated book The art of war: «Lead your enemies to undervalue you.» Some other explain that he is acting as a Jesuit. When a Jesuit is dispatched to a new place, he never stirs the waters at first. He waits, thinks and prays. After that, he decides. But he always decides by himself, alone. That this will be Francis’ approach is proven by how he has formed the «advisory board» of eight cardinals to discuss the reform of the Catholic Church, mirroring the «board» of assistants of the Jesuit Superior General (the latter are 12, representing different geographic areas). The eight cardinals are all presidents, or ex presidents, of bishops’ conferences, and they represent the five continents. They implement their own projects, appointing their own consultants. Between October 2 and 4, they will meet together for the first time, and they will present to the Pope their ideas. At that point, Pope Francis will decide which suggestions he will pursue to reform the Curia. A Curia reform awaited for a long time. Pope Paul VI already wanted to give more weight to the synod of bishops, thus underlying the collegiality of the Church. He also thought about having representatives of the synod of bishops in the Conclave ( there are twelve cardinals, three for each continent, elected at the end of each synod by a secret vote and representative of the elite of the worldwide episcopate). John Paul II carried out a Curial reform, issuing the pastoral constitution Pastor Bonus. However, there has been a constant need to revise it and improve the Curia’s functionality and communication with outlaying parishes. In many cases, there was a need to refer certain problems directly to the center, the Vatican, thus giving more power to the Roman Curia. For example, competence over priestly pedophilia cases have been transferred to the Congregation for the Doctrine of the Faith, because dioceses had covered up wrongdoings. Benedict XVI, who had been Prefect of the Congregation for the Doctrine of the Faith for more than 20 years, also centralized the selection of new bishops. He isolated, to the extent he could, the network of nuncios, and relied instead on the network of his old collaborators from the ex Sant’Uffizio, the only network he could trust. After all, the key posts had been assigned to careerists who flourished because of John Paul II’s illness and as a result of the power of his personal secretary Stanislaw Dziwisz and the then Secretary of State Angelo Sodano. Oscar Andrés Rodriguez Maradiaga, Archbishop of Tegucigalpa, Honduras, was one of Francis’ great electors. He has international appeal and is President of Caritas Internationalis. His influence within the Sacred Palace increased after Pope Francis’s election. It is rumored that he could be the next Secretary of State. His charisma, at the same time, risks to shadow the Pope’s own. 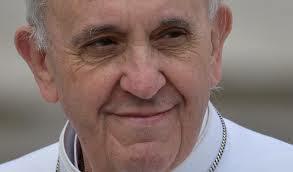 Pope Francis has announced the Gospel and enjoyed popularity. His sight is now on cleaning the image of the Church. Now, time has come for the first «political» choices. And we look forward to seeing how Pope Francis will surprise us. Thanks for your mondayVaticanblog of this week. I am looping forward to the one after the first week of october. The correct name is “Rodriguez Madariaga” not “Maradiaga”. I am sorry: my comment was incorrect, your spelling is right. My apologies.